Betts Interference Control Valve works as an two-way spring return dump valve for a truck’s air system by trapping downstream pressure if the supply pressure is maintained and not exceeded. Valve is normally closed, and depression of the piston by a truck cabinet door or other means releases the air pressure. This can be used to close all emergency valves simultaneously. 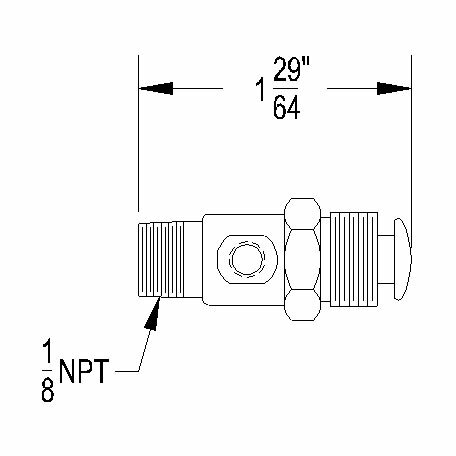 Ports are 1/8″ NPT and #10-32 female. Flow rate is 7 CFM at a max pressure of 125 psig.